Located in the popular village of Sleights near Whitby, this attractive semi-detached property boasts stunning panoramic views over beautiful countryside. Well placed for those wishing to explore both the moors and the heritage coast, it is an ideal holiday home for families to enjoy time together. Set into a hillside, there is ground floor access to both the main accommodation and to the separate lower ground floor annexe bedroom, which is a perfect retreat for anyone wanting a little bit more space and privacy. There is a bright, sunny and well-equipped kitchen with comfortable sofas set around a cosy woodburning stove. With glorious views across the valley, this is a lovely room to relax in, whatever the season. The dining room is to the front of the property and has extra comfy seating, enabling guests to spread out. Upstairs, are two tastefully designed bedrooms, a small cot room and a contemporary bathroom, while the annexe bedroom has its own en-suite and French doors that open onto the garden - you can lie in bed and drink in the wonderful vista! Off the kitchen is a small conservatory/porch with seating and a glass Juliet balcony, a wonderful spot to sit in the sunshine with a morning coffee. Nicely furnished and decorated, the property feels fresh and inviting. Outside, steps lead down to the large lawned garden, a safe haven for children to run about and play. A pleasant stroll up the hill brings you to the excellent village amenities, including a renowned butcher's, a bakery, the village pub and a fish and chip shop/cafe, whilst down the hill are several public footpaths that lead you to Littlebeck and Falling Foss, which are local beauty spots. Whitby is just a five minute drive or leave the car behind and catch the regular local bus which stops 25m from the property. Wander around the narrow cobbled streets, climb the 199 steps up to the famous Abbey and enjoy the long, sandy beaches. 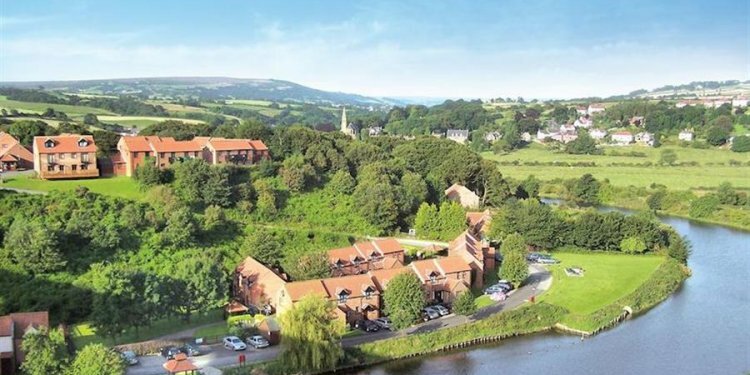 The surrounding area offers a wealth of attractions, including the North York Moors steam railway at Grosmont, the Danby Moors exhibition centre and pretty inland and coastal villages to discover. A lovely property for a varied and interesting break. Over three floors. Three bedrooms: 1 x lower ground floor king-size double with en-suite shower, basin and WC (accessed separately from the rear garden), 1 x first floor king-size double, 1 x first floor twin. First floor bathroom with bath, separate shower, basin and WC. Ground floor kitchen with sitting area and woodburner. Ground floor dining room with comfy seating. Ground floor small conservatory/porch with Juliet balcony. Note: Children must be supervised if on the Juliet balcony.